"Are you a vegetarian? ", asks Vi, our street food tour guide in Hanoi. "No," I reply. "I'll try anything." I remember all the dogs we looked after when housesitting in Australia. Vi laughs and leads us through the Old Quarter to our next street food stall, which thankfully, was not serving dog. 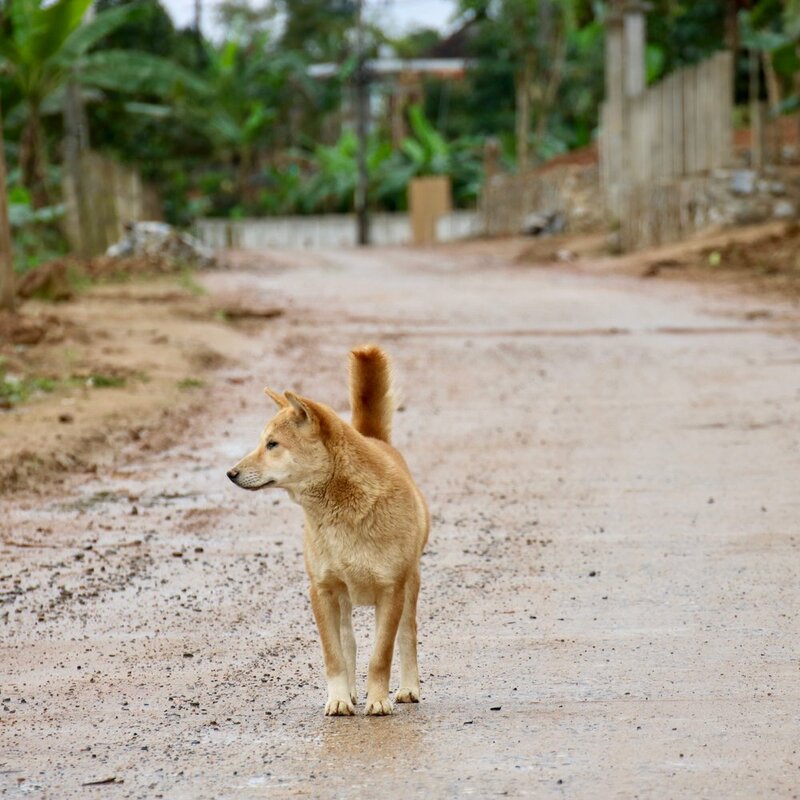 Across Vietnam, and especially in the north, the dog meat trade is booming - it is rumoured to be second behind China for dog meat consumption. The meat is not cheap: it typically sells for around 3 times the cost of pork. These high prices have done little to stave off demand, with an estimated 5 millions dogs being slaughtered each year (according to Asia Canine Proteciton Alliance) to be sold as dishes in high-end restaurants. Many elder Vietnamese residents see it as business as usual; dog meat is no different to cow or pig. In fact, pigs are often cited as being cleverer and just as affectionate as canines, yet who among us omnivores can resist a bacon sarnie? In rural Phong Nha, we paid a visit to a farm in Bong Loi Valley. Within minutes of our arrival, five puppies came bounding around the back of the house to see us, their mum loping behind. They were all adorable, but they weren't pets. "Once they grow older and fatter, we sell them for meat," the young farmer tells us, matter-of-factly. "We can get up to $40 per dog sometimes. Until then, they're guard dogs." It's common for rural families especially to sell pups to middlemen who pass them on to slaughterhouses. In much of Southeast Asia, most do not have the inclination, money or time to dote on dogs. For poorer communities in particular, it seems alien that dogs are ever kept as pets at all, let alone allowed to sleep on the bed in some homes, and be dressed specially-made clothes! At best, many families see dogs as security against intruders, at worst, they are aggressive vermin. Given the sheer numbers of stray dogs roaming the streets in some parts of the world and the warning against petting mutts for fear of rabies, it's not hard to see why. In Kerala and Pakistan, the mass culling of stray dogs was widely reported back in 2016. It primarily occurred off the back of a series of vicious attacks. With this in mind, it's not impossible to imagine a similar fate for dogs in Vietnam if those slaughtered for meat were instead left to roam the streets. As a Western woman who eats meat, I am in no position to criticise the eating of dog. Although it is alien to me, I find it fascinating, and sometimes shocking, to learn about. I am conscious that my interest, however, may be encouraging an industry that I do not support. 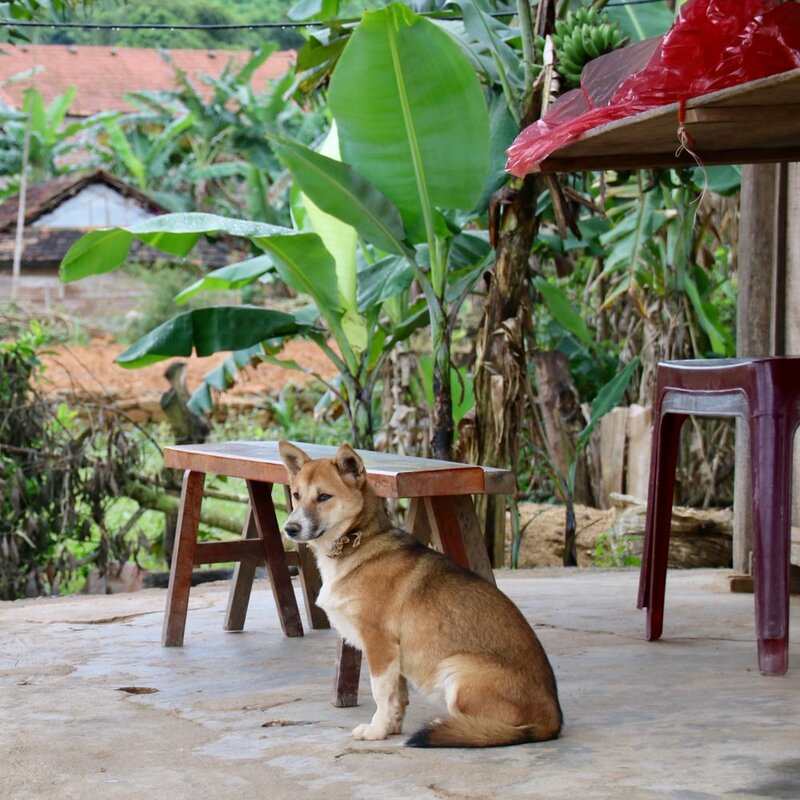 Many Western tourists are prompted by Vietnamese tour guides to try dog meat, and others specifically seek it out. To some, it is a quirky cultural difference that has to be personally experienced. There are many organisations such as Soi Dog Foundation campaigning against illegal dog meat trades in neighbouring South East Asian countries, which see the animals raised in torturous conditions and killed in brutal ways. Whilst many would argue that eating meat or animal products will never be ethical, there are more humane ways to rear, farm and slaughter animals for food products. Many farms around the world should take a leaf out of Daylesford's books. It's fair to say that Vietnam's meat industry has a long way to go. Change and understanding starts at home, and I hope that this post has shown how important it is to understand the business behind such delicacies and how one man's best friend is another man's fresh meat.